In Chattanooga and the surrounding areas, some of the most coveted and expensive properties dot the edges of the numerous mountains and ridges. These areas range from Mowbray Mountain in Soddy-Daisy north of the city well into Georgia’s portion of Lookout Mountain, and even parts of Northeast Alabama’s historic Henagar community. It’s a well-known fact among real estate professionals that a breathtaking view can add value to land parcels and houses, which can compensate for minor drawbacks that come with mountain living. Despite the breathtaking price tag of many brow homes, the surrounding areas of Chattanooga often contain reasonable square footage and mortgage notes for house hunters with shallower pockets. Whether you are seeking a getaway from a hectic job in the city or eager to find a property that is large enough for parties and entertaining, there are properties available to your liking. If you are seeking urban accessibility or historic charm, well established communities atop Lookout and Signal Mountain with excellent school districts are teeming with turn of the century estates. Another great choice is Missionary Ridge for views of the cityscape and surrounding mountains. If you recoil at the thought of a congested area, more areas away from the city offer a relaxing atmosphere from many urban headaches, areas on Lookout Mountain on the outskirts of Walker County and West Brow in Dade County GA offer homes with a more rustic appeal---and often sport a lower price per square foot. 4617 Sunset Dr in Rising Fawn offers great views, plenty of elbow room, and privacy for a great price! Despite only occupying a tiny portion of Lookout Mountain, Tennessee holds some of the most expensive and historic homes in the Chattanooga area. Subdivisions on the edge of the mountain stretch from Point Park to the Georgia state line, and contain feats of European-style architecture. Traditional and colonial style homes are also nestled atop this mountain, as most homes in this area were constructed from 1920-1950. However, homes over a century old are a common find, and many are beautifully renovated with modern amenities. Many tree-lined streets in this area are walkable, and have some of the best neighborhood associations in the area. Unfortunately, these dream homes come with its own set of headaches. If you purchase a home on the Tennessee side of Lookout, expect tourist traffic—especially during the summer months and holidays. In addition to traffic and congested roads, expect less square footage for your purchase price. Despite their historic appeal, older homes often have less living space, which can be a huge drawback if your price range is limited. Aside from Lookout Mountain, well established neighborhoods on Signal Mountain are popular for mid-range home buyers. 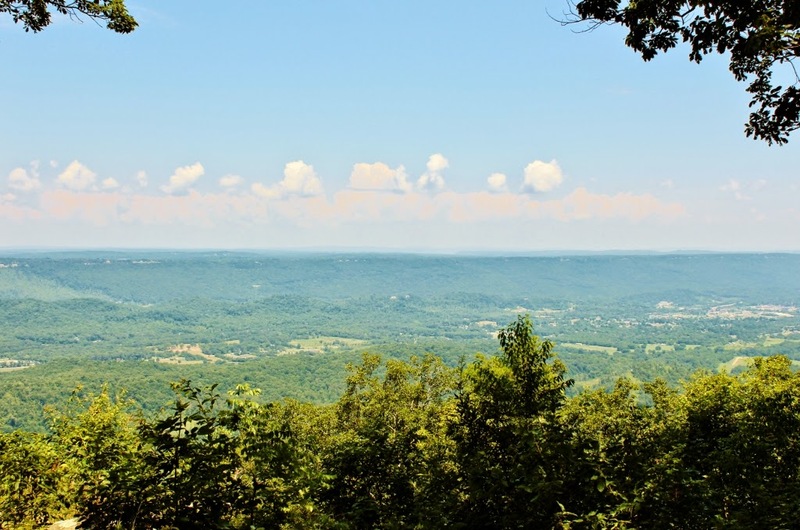 Less traditional alternatives include Mowbray Mountain in Soddy-Daisy, which is a short drive from the interstate and offers a priceless view of the surrounding state park (link). If you are seeking wide open spaces in the surrounding countryside with a lower price tag, stay tuned for our next post covering mountain and brow view living in Georgia!